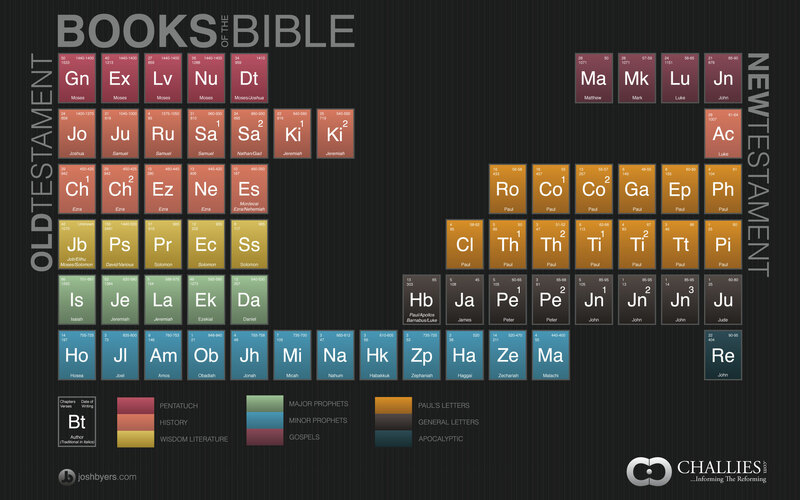 Tim Challies created an infographic to give you an overview of the books of the Bible. Click on the image below to view the full-size version, or you can download a high-quality PDF and desktop wallpaper from Challies’s site. A great tool, but it does reflect a certain theological perspective. Assigning all the Pauline epistles to Paul, for example. Or giving Daniel an early date. Of course, other answers to these questions would betray another perspective, but I think more objective historians would do this differently.